< St. Catherine Biscuit Cookie Recipe! 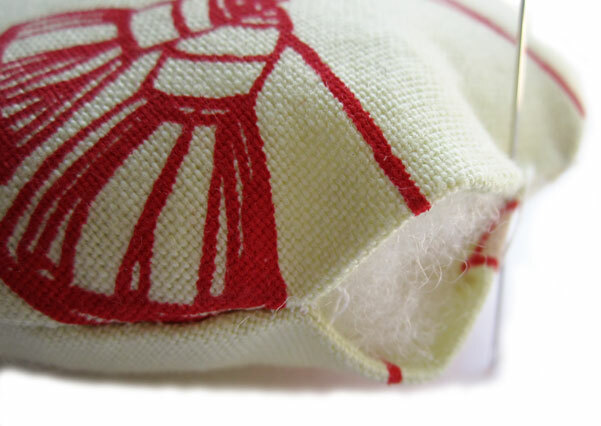 A short while ago I shared our Needle Case Tutorial with you all. Today I thought I bring you it’s perfect partner, the wrist pin cushion! 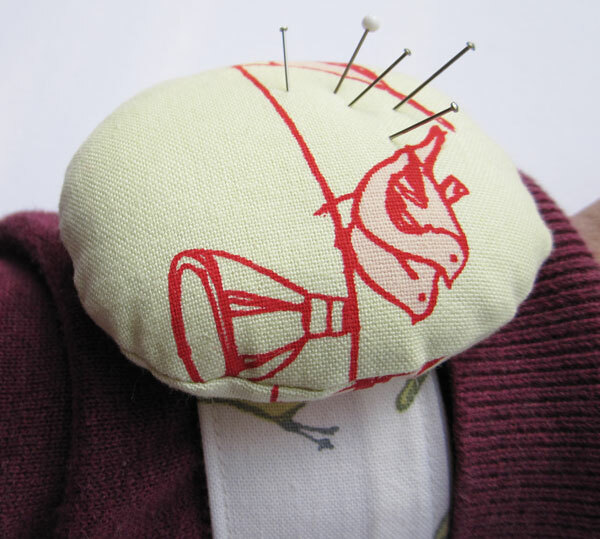 Being able to wear your pin cushion on your wrist is definitely practical, particularly if you’re pinning up a hem so you don’t constantly have to reach across to a table or have someone pass pins over. First take your rectangle piece of fabric, this will make our strap. 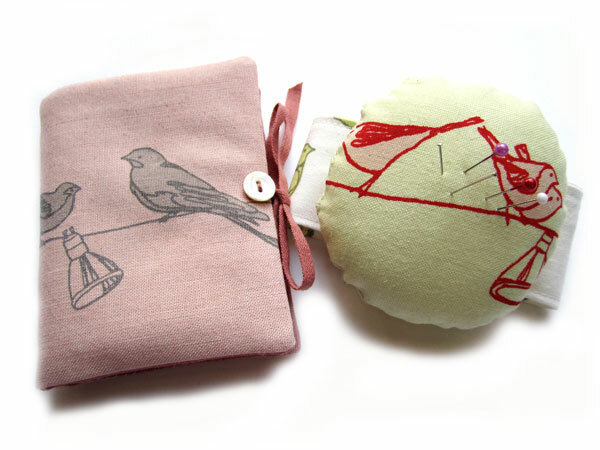 Fold in half lengthways with right sides of the fabric together. Sew along the long edge and one short edge. 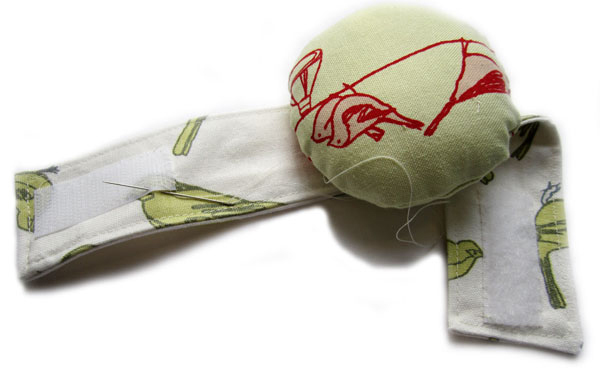 Turn the fabric the right way out through the unsewn end. 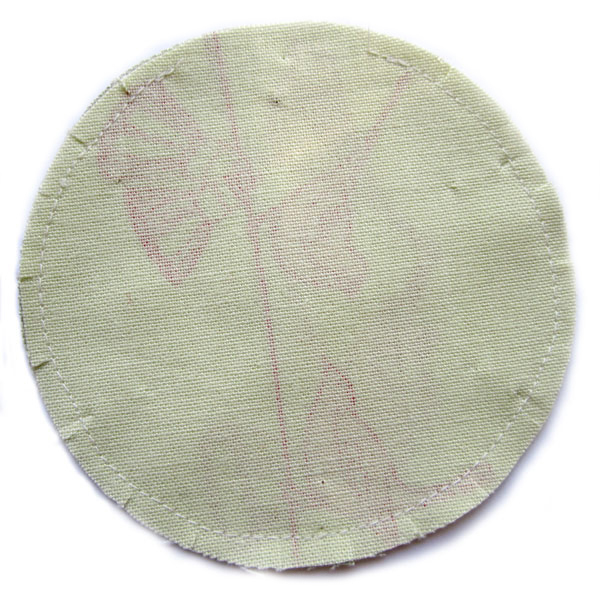 Fold in the open end and edgestitch around the whole rectangle. 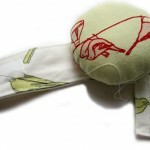 Place your 2 circles of fabric right sides together. Sew around the edge leaving a gap about 3cm long. 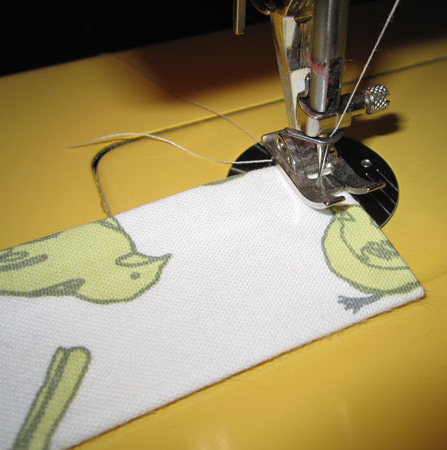 You may find it helpful to clip the edges after sewing to get a smooth er line once turned right way out. 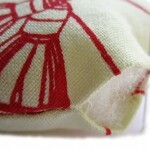 Turn the circle the right way out and stuff firmly, then handstitch the open gap closed. Now we need to attach the cushion to the strap. Lay the strap across the cushion so that is it laying roughly in the centre of the strap. 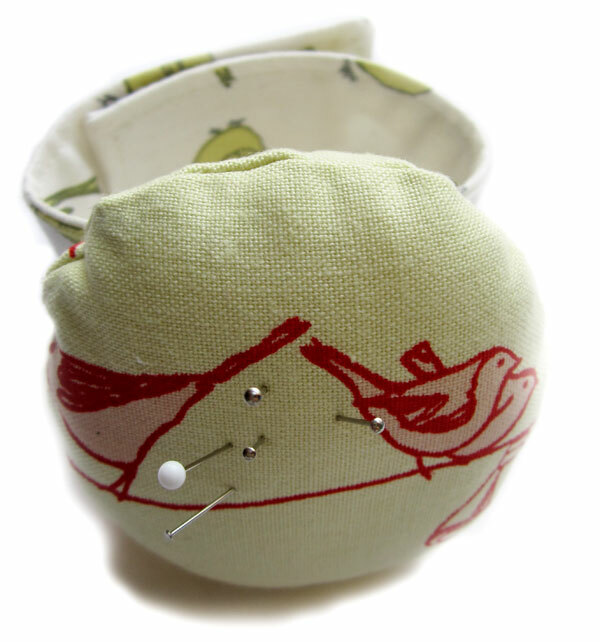 Sew either side of the strap to the pin cushion. 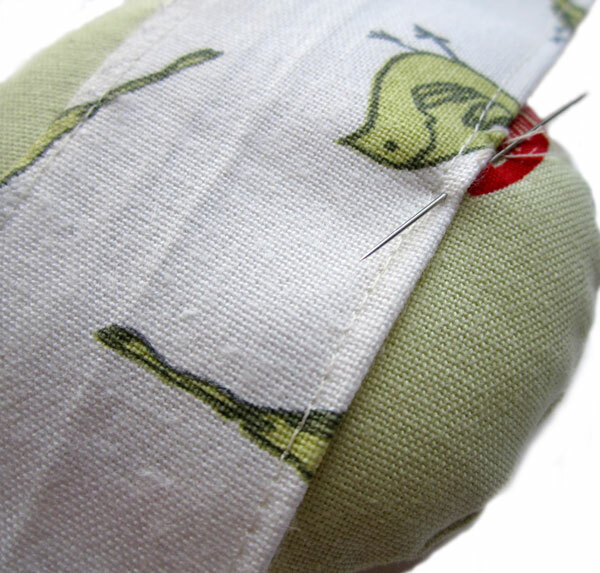 To fasten the pin cushion we cut a short length of velcro and sewed this to both ends of the strap. Ta da! You’ve made a lovely pin cushion. This entry was posted in Tutorials and tagged fabric, pin cushion, sewing, tutorial, velcro, wrist pin cushion. Bookmark the permalink. One Response to Wrist Pin Cushion Tutorial!